This versatile dress is bursting with cuteness and the see through overlay adds a touch of Harajuku. 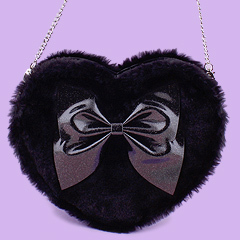 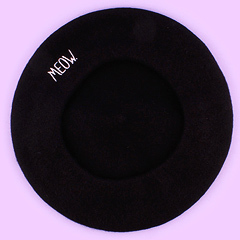 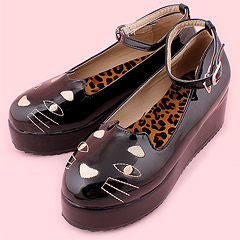 This would go perfectly with darker styles like Pastel Goth, Harajuku Punk, Casual Kawaii and Yami Kawaii. 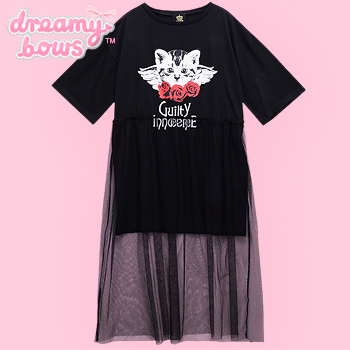 This adorable dress from Listen Flavor features a tulle overlay skirt giving the dress an impactive and unique look. 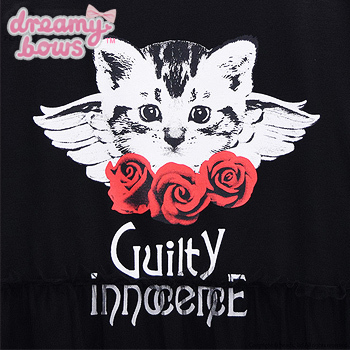 The print is of a cute black & white kitten with wings and roses with 'Guilty' above the tulle overlay and 'Innocence' hidden underneath. 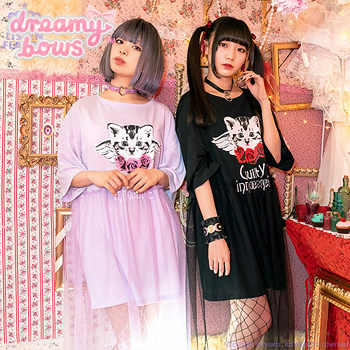 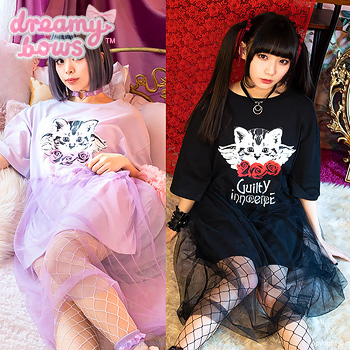 This versatile dress is the perfect addition to any kawaii wardrobe and purrfect for any cat lovers!